Perhaps it hits you when you’re writing a storyboard to teach a poorly designed and uninspiring software program. Or maybe you just received a fax from a course sponsor and revisions are scribbled on every page. Suddenly your de-motivation button is triggered and you can’t seem to shake it off. You start to wonder why you’re doing this in the first place. We spend a lot of time theorizing and thinking about how to motivate learners. 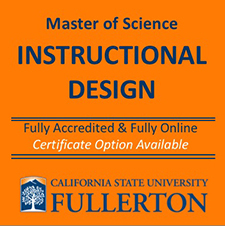 But what about motivating instructional designers? We often sit at a computer for untold hours doing work that no one else understands, often wearing many hats, and sometimes working with content that’s pretty dry. Yet I still love this field. So here’s my advice for ways to get and stay motivated when you’re less than excited about your work. When I was studying Instructional Design, a college professor once told the class that we were the learners’ advocates. I’ve never forgotten those words. An advocate “pleads the cause of another; defends or maintains a cause or proposal; and supports or promotes the interests of another,” according to Webster online. We’re the ones who take the learner seriously and ensure that things are explained clearly, that the experience is engaging, that tests are fair, and so on. Advocating for learners is a purposeful and motivating mission. Instructional Design is a selfless job in many ways, because it’s not about you, it’s about them—the learners. Your course has the potential to help another person become more competent at work, at life or at school. I’ve created courses that taught people how to save lives, to cooperate as a team, to operate heavy equipment safely, and to use software (though the audience was not computer literate). I’m sure you’ve created life changing learning experiences too or will some day. This is fulfilling work and that’s motivating. Everything under the sun can be fascinating if you see it from the right perspective. Look at the content from both a bird’s eye view as well as from a detailed view. Let your mind expand as you immerse yourself in it and explore connections and relationships. It’s bound to become more intriguing as you work your way through the material with wonder and curiosity. Put yourself in the place of the learner to understand the value of the learning experience that’s in your hands to shape. Consider how the experience will relate to the learner’s universe. Imagine how you would like to encounter this information if you were the learner. Then psych yourself to find ways to make it compelling. Visual thinking prompts you to look at things in a unique way. Even when you’re not an artist, you can still sketch while thinking—with stick figures and geometric shapes. Sketching is a cognitive aid that might help you break through the doldrums. Use mind maps to analyze and organize content and to plan out interactions. Draw charts and diagrams to understand relationships. Doodle. Some resources are: The Back of the Napkin and VizThink. Problem-solving is a motivating task. Your problem is how to provide an engaging learning experience that turns information into knowledge that gets transferred to real world situations. This takes understanding how the mind works and how people process information. You might get inspired by reading about the workings of the brain and about how people learn. Some resources are: How to Learn Cognitive Psychology and How the Mind Works by Stephen Pinker. When you’re reminded of how astounding the human brain is, you may find it motivating to apply more learning theory and brain science to your work. Take some time to check out other eLearning courses around the web. 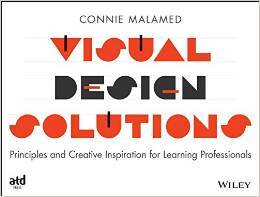 You’ll find people are coming up with great ideas for interactions, treatments, visuals and instructional strategies. Finding new ideas might inspire you to try a few out yourself. 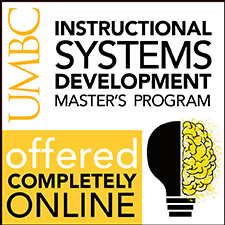 Here’s a resource for finding online courses and demos. If you get inspired by visual design, collect a few graphic design books and browse them when you’re feeling unmotivated, visit a bookstore or check out design blogs. It’s motivating to think in terms of creating an experience rather than a solitary course. You can go beyond the generic single course concept by creating a variety of online and offline events that support learning. Consider alternative instructional strategies, like adding social media technologies and informal approaches. When you try out new strategies, it not only motivates learners, it can potentially motivate you. Check out: 30 Ways to Motivate Adult Learners. I’ve never experienced friendlier and more helpful communities than those built around learning specialists, instructional designers and developers. You’re not alone in this field and you can get support, inspiration and answers to issues through the many online communities of practice associated with online learning. Check out many of the groups on LinkedIn and Facebook as well as professional organizations like The eLearning Guild and ASTD. I don’t want to get all pop psychology on you, but let’s face it, sometimes when you’re unmotivated it’s not the work itself but the workplace. Consider whether something else is going on. Perhaps you don’t feel valued at work, you’re underpaid or your deadlines are unreasonable. If this is the case, try to separate your issues about the workplace from the actual work you’re doing. Try to take care of the workplace situation or promise yourself you’ll take care of it soon. Then put it aside so you can get motivated to do a great job for the learners. They deserve it. How do you stay motivated? Please comment below. Glad you agree, Virtual! Thanks for stopping by. Hi Martonia, I’m glad you liked it. Thanks for stopping by. 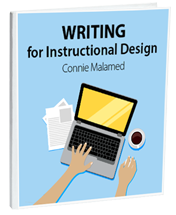 This is a really helpful article that I found applicable to more than just instructional design. Quite inspiring. Thanks! Hi Evan. I guess we need all the inspiration we can get, so glad it worked for you. We´re a eLearning startup from Brazil and love your blog, keep the articles coming! Ps. : the post in portuguese give all the credit to your authorship. Hi Connie! This a motivating article indeed! Being an Instructional Designer, I can work with an asserted pride! Thanks for sharing! We, instructional designers really need motivation after having jostled on with numerous word and PowerPoint storyboards. As my first stint as an instructional designer, in the K-12 domain, I loved to try to think visually, Now i know that I’m on the right track. Thanks Connie for showing me the light with this wonderful article. Thank’s I needed this. All the things you mention being the learner’s advocate, helping people learn, creating great learning experiences is why I love being an instructional designer. But, yes it can be lonely – nobody understands what I’m doing and there are days when I just can’t get a great idea. Again, thanks for reminding me what a great job I really have. I’m glad this helped. Maybe you should eventually work with a team of IDers, so you’re not the only one. As to getting ideas, please see my eLearning Demos list in the Resources section. There are many more examples around the Web too. Thanks for the addition to this post! Would be good to see what other people can add. I love my job like you do and keep looking to make it more interesting and motivating for me and the others I work with. I have been doing most of the things that you have mentioned here. The one thing that I haven’t done lately is “Look around at other work”. Caught up by work and insufficient time, I have forgotten to do this. Will definitely start doing it htough. Thanks for the remider! Sweet! Thanks for sharing a little of your story, Sadhana.